Sorry for the delay in this week’s post – been busy working. Time for something a little different; I’ve attempted to reverse engineer the research by MIT and my former employer Capgemini on digital leadership. Essentially they found that digital leaders enjoy greater revenue efficiency and profitability. Segment of FTSE listed companies ranked by revenue efficiency and profitability. Top right is good, bottom left isn’t. Click for full size version. 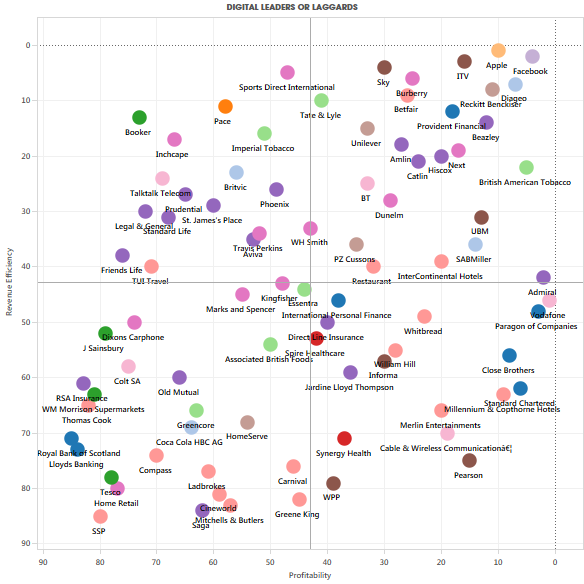 The observant will have noticed that Apple and Facebook have found their way on to a scatter chart that is allegedly full of FTSE companies. 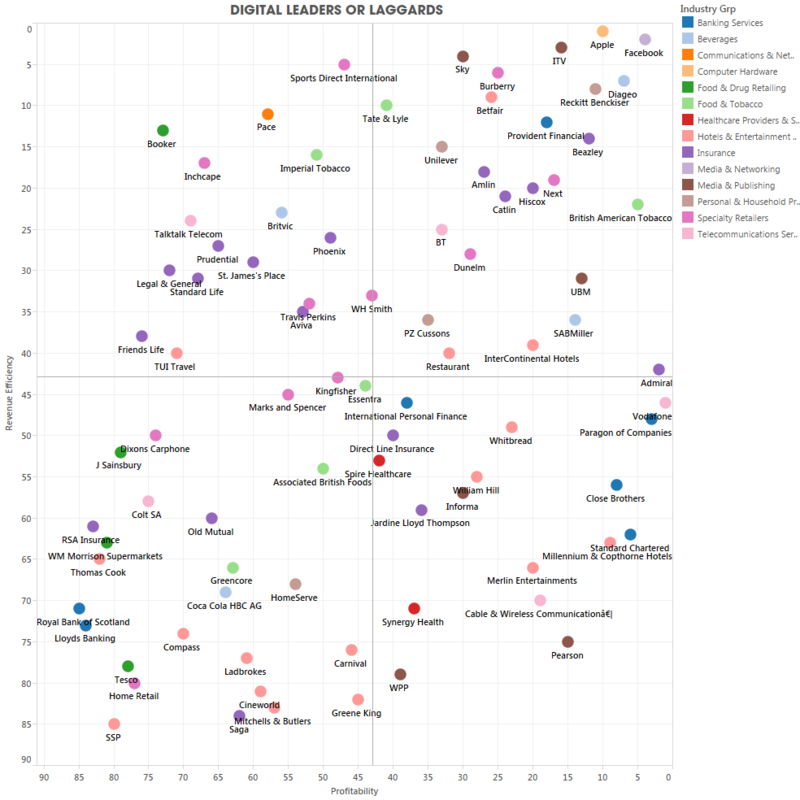 I did this to see how potential international digital leaders compare. I’ve also filtered out some of the big investment companies and industrials to give an easier to view breakdown of the selected companies. MIT and Capgemini’s research ranked companies based on their ability to transform (change management) and the digital intensity of those businesses. From this research they then identified four segments; the Digirati, Fashionistas, Conservatives and Beginners. Each segment’s revenue efficiency and profitability was then compared to the overall averages to provide some benefits to being good at both digital and transformation. This new model can then essentially be used as a stock screener to discover whether companies are Digirati, Fashionistas, Conservatives or Beginners. 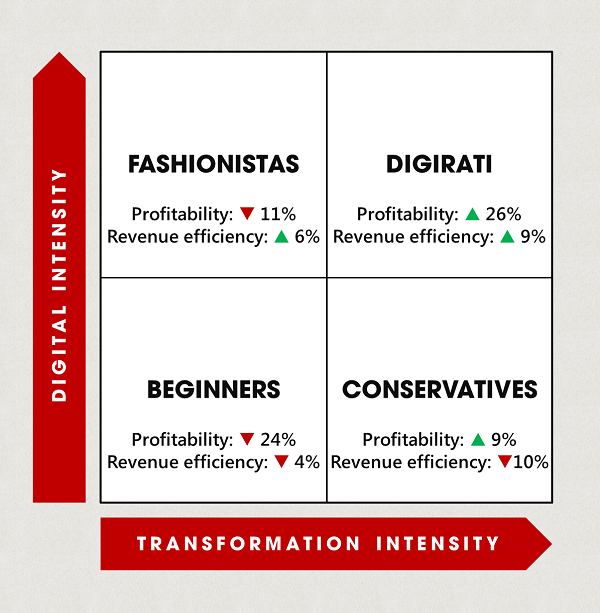 The top right quadrant or the Digirati shows those who could possibly be digital leaders. They have great revenue efficiency (measured based on Revenue Per Employee and Return on Assets) and profitability (based on net profit margin). I was pleased to see Apple and Facebook fall into this group as well as digital darling Burberry. 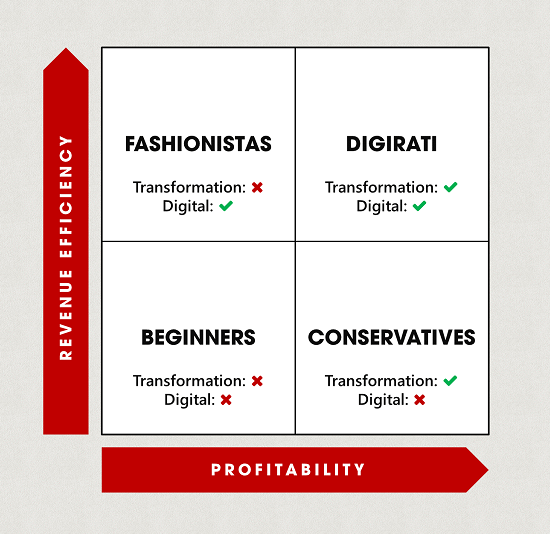 Companies in this quadrant are either reaping the rewards of digital transformation or are simply very good at their traditional non-digital business. Those in the bottom right quadrant or Conservatives represent profitable businesses who aren’t particularly efficient at generating revenue. I’d suggest these businesses look for opportunities to utilise digital to improve employee efficiency and improve asset usage. Top left or Fashionista companies are good at revenue generation but are not efficient at turning that revenue into profit. For this group of companies the business case is whether digitisation can help strip out cost from the business (e.g. 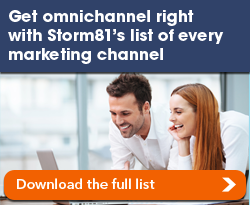 channel shift to lower cost, self serve digital channels) to achieve greater profitability. Alternatively I recommend Leading Digital which follows on from the original research. The data for this research was taken from Stockopedia. 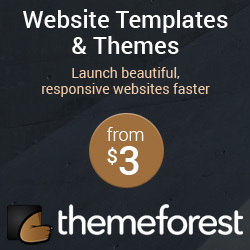 I highly recommend them if you do a lot of stock market research. Employee numbers were pulled from the FT. The data is as accurate as I could source it and if you’re unhappy with your company’s placing on the chart there’s not a lot I can do about it … unless of course you want to employ me to help define and drive forward digital transformation in your business.